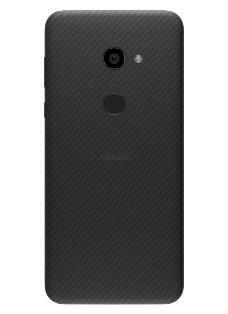 Tokyo, Japan, December 25, 2018 —Teijin Limited announced today that Technora® black, the company’s strong and flame-retardant para-aramid fiber, has been selected for use in the back panel of the newest AQUOS zero, SHARP’s flagship smartphone model, which was released on December 21. The new AQUOS zero, which weigh just 146g, have a plastic back panel reinforced with Technora® black and a frame made of magnesium alloy. It will be the world’s lightest smartphone in a class of 6-inch screen and a battery capacity rated above 3,000mAh which supporting waterproof (over IPX5). Teijin’s Technora® para-aramid fiber is eight times stronger than steel as well as highly heat- and shock-resistant, making it an ideal material for broad applications ranging from rope, timing belts, racing car seats and car hoods to spacecraft. Technora® black is increasingly being adopted for outdoor use, such as firefighting clothing and yacht sails, owing to its weather-resistance driven from its color by adding black pigments to Technora® in spinning process. Aramid fiber reinforced plastic is expected to contribute to the development of advanced, extra-high-speed mobile devices due to its light weight, electric insulation and dielectric constant property for minimized electromagnetic interference. Technora® black is especially suitable for smartphones thanks to its weather resistance and attractive appearance, in addition to its many core features.